Today’s digital cameras provide image data files allowing large-format output at high resolution. At the same time, printing technology has moved forward at an equally fast pace bringing us new inkjet systems capable of printing in high precision at a very fine resolution, providing an amazing tonality range and longtime stability of inks. Moreover, these systems are now affordable to the serious photographer. In the hands of knowledgeable and experienced photographers, these new inkjet printers can help create prints comparable to the highest quality darkroom prints on photographic paper. 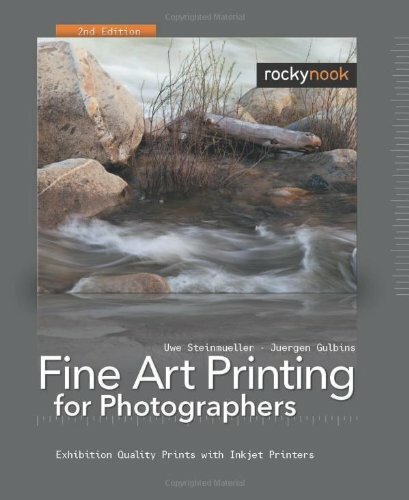 This book provides the necessary foundation for fine art printing: The understanding of color management, profiling, paper and inks. It demonstrates how to set up the printing workflow as it guides the reader step-by-step through this process from an image file to an outstanding fine art print.